Does the 2019 Ford Flex have 3rd row seating? The current new-car market is awash in crossover sport utilities. It takes something special – something like the 2019 Ford Flex – to stand out from the competition. The 3-row SUV offers room for up to 7 passengers along with an abundance of class-leading features. It’s what’s inside a family SUV that really counts. The 2019 Ford Flex outdoes the competition on every level with unsurpassed comfort and technology. These are the top features that make the cabin the ideal place for you and your loved ones. The kids, the dog, the cat – everyone can fit inside the 2019 Ford Flex. 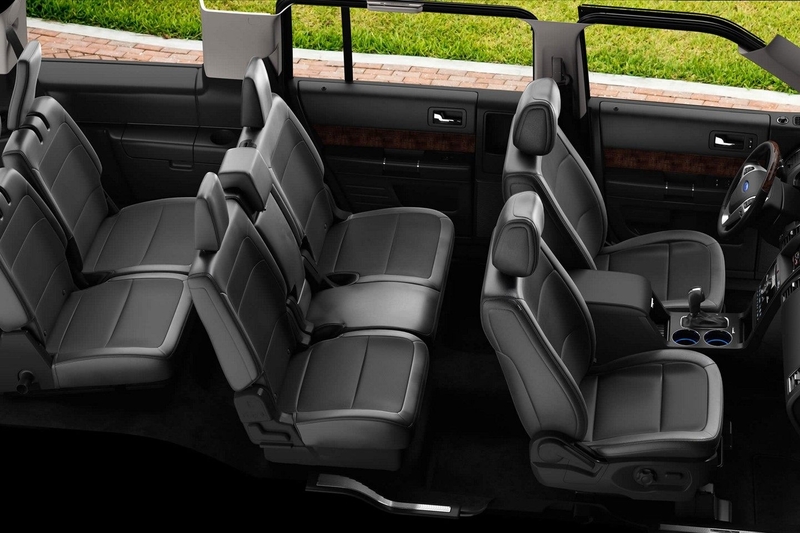 The family SUV offers 3rd-row, 7-passenger seating. First-row occupants get bucket seats, while the two rear-rows come standard with split benches. Got more cargo to haul than people? No problem. 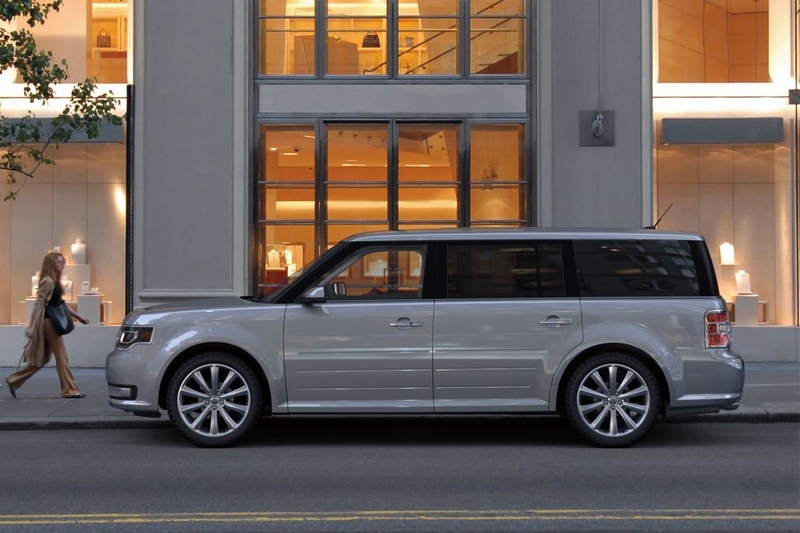 The Ford Flex offers up to 83.2 cu. ft. of storage capacity with both rows of rear seats folded flat. So, you can fit almost anything into the cavernous interior. Folding a set of seats can be a real hassle; that’s why Ford introduced the PowerFold third-row seat, available on the 2019 Flex. This handy features folds third-row seats flat with just a push of a button. Those who are willing to accept 6-passenger (versus 7-passenger) seating can opt for the available second-row bucket seats. The layout allows for increase comfort along with easy pass-through to the third-row. All occupants get a clear view of the sky with the available Multipanel Vista Roof. The design features four precisely-placed glass panels that bathe the interior in sunlight. Set the mood for your next family adventure with optional ambient lighting. The front and rear footwells, as well as the front console and cupholders, illuminate with the color of your choice. Access to the cargo area is made easy with a power liftgate that operates with just the push of a button. Stay informed and entertained with the SYCN3 system. Features provided by the unit include Apply CarPlay and Android Auto, as well as navigation with Sirius XM and Traffic and Travel Link. Creature comforts abound inside the Flex. Heated front seats and dual-zone climate control are standard, as is push-button start and a universal garage door opener. Optional features include goodies such as a heated steering wheel, leather upholstery and ventilated front seats. The Ford Flex has the cutting-edge technology to keep your most precious cargo – your loved ones – safe. Available features include Park Assist, Adaptive Cruise Control, Blind Spot Information and a rearview camera with backup assist. Are you ready to check out the spacious and capable Ford Flex? Visit one of the Ford dealers in Southern California. Each location has a wide range of crossovers and SUVs waiting to be test driven.